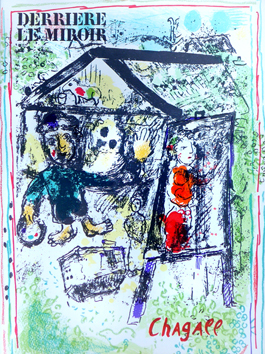 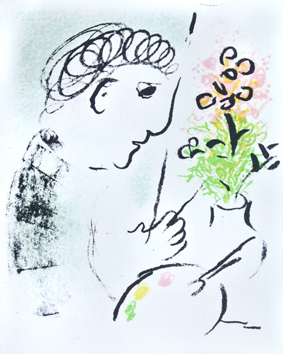 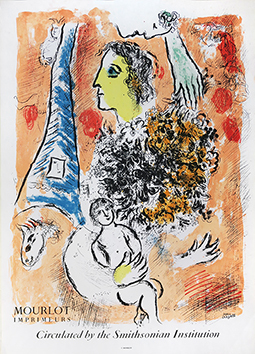 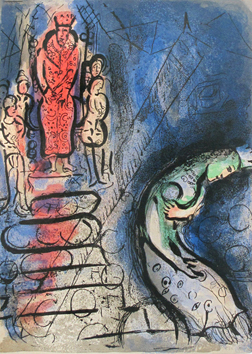 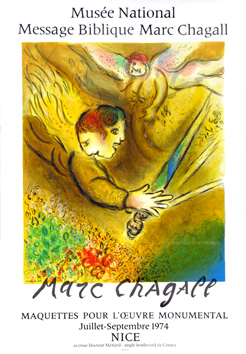 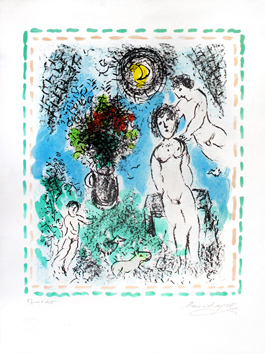 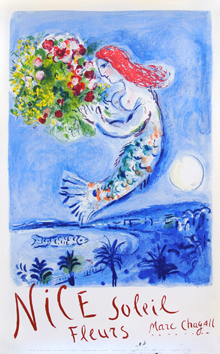 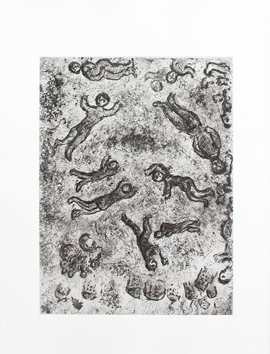 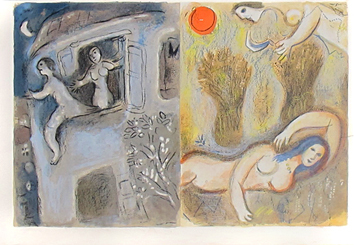 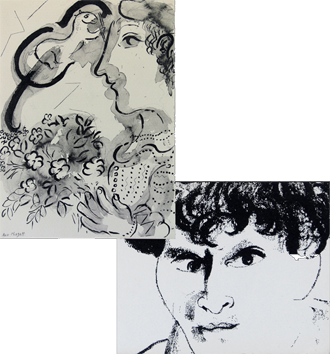 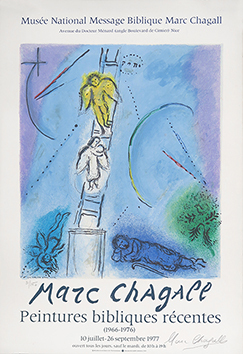 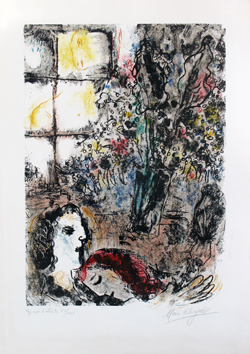 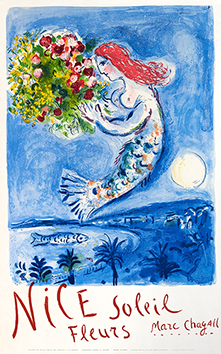 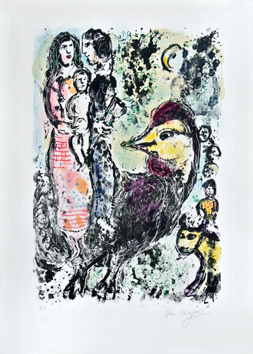 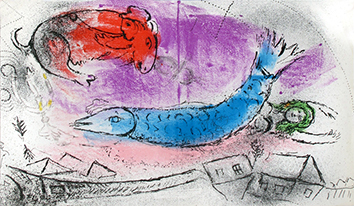 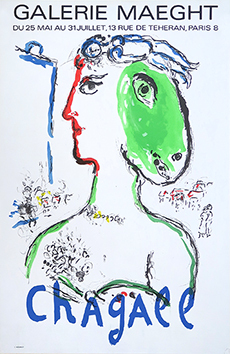 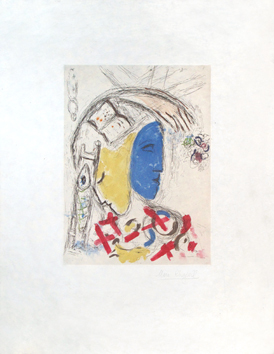 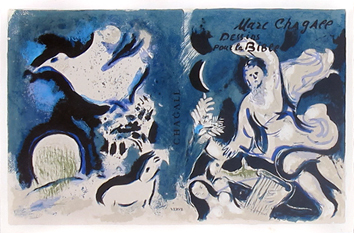 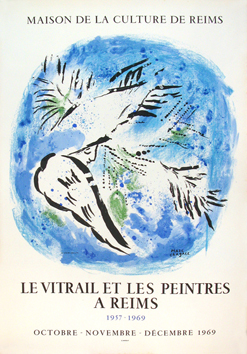 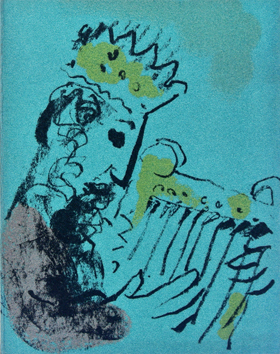 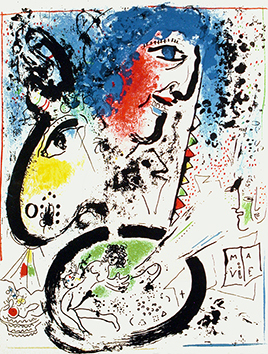 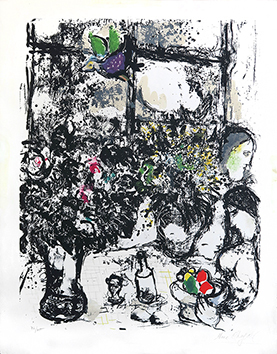 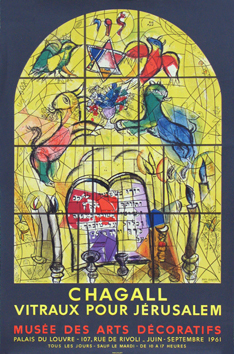 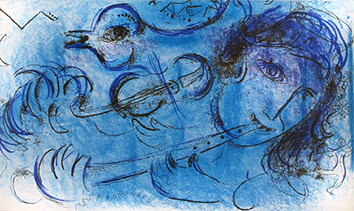 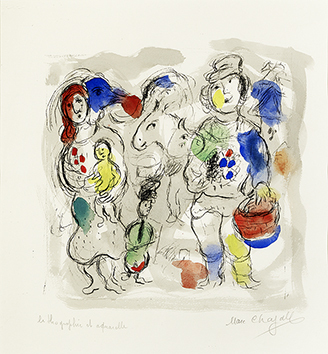 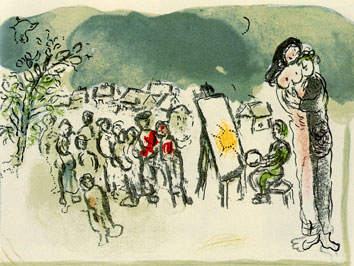 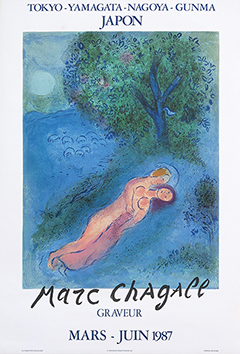 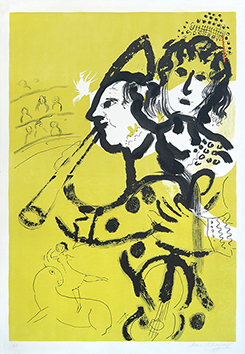 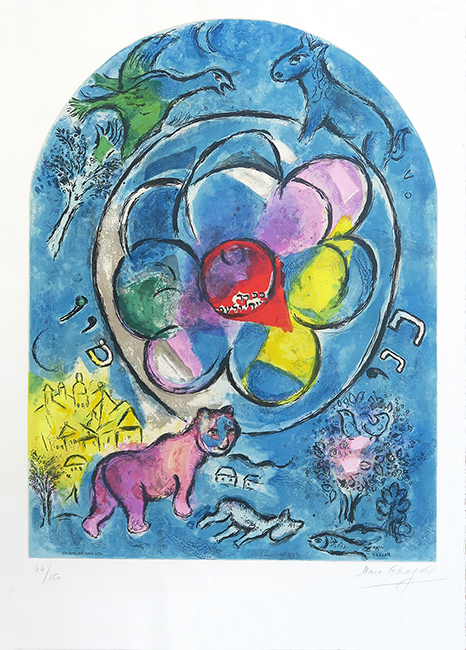 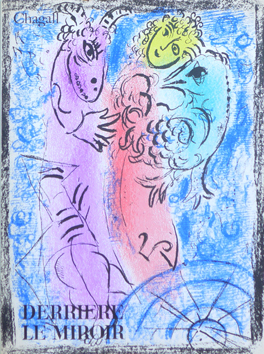 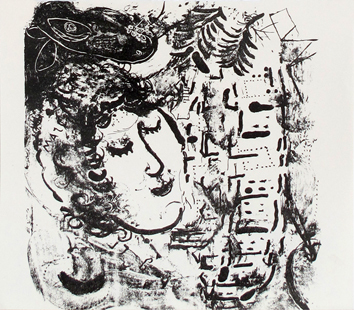 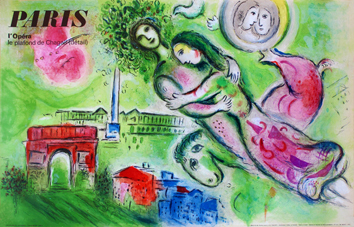 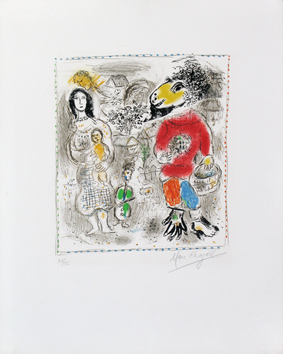 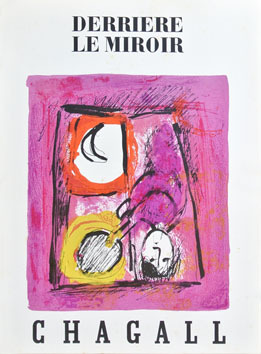 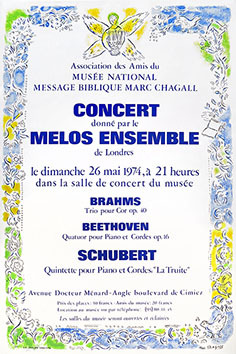 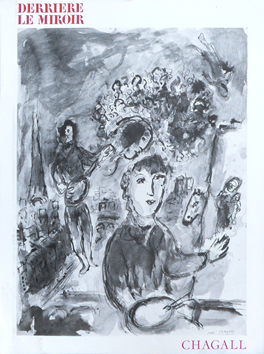 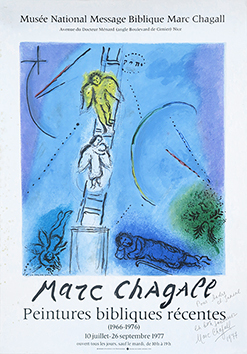 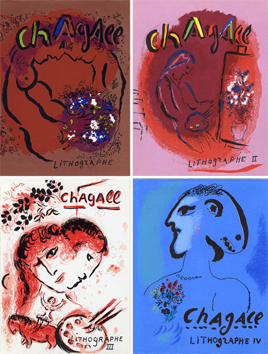 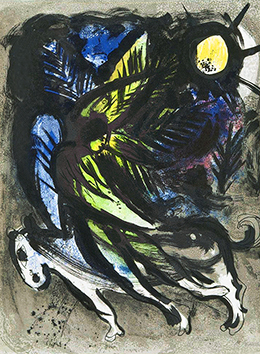 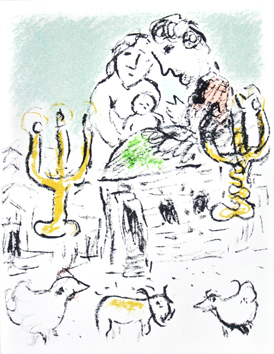 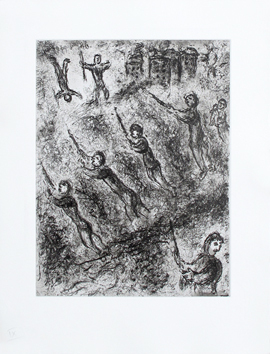 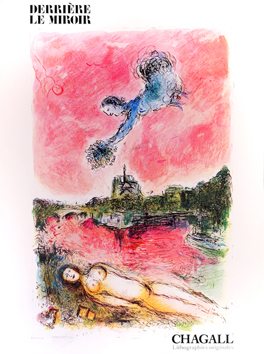 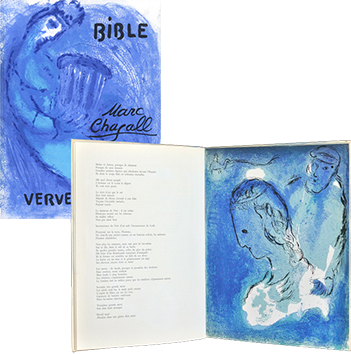 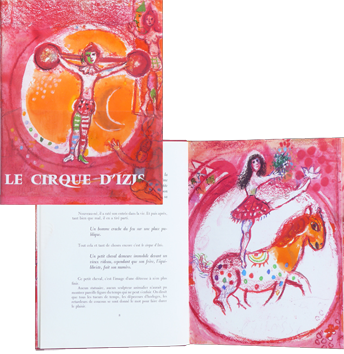 Lithograph in colors after Marc Chagall, realized by Charles Sorlier for the album "Douze maquettes de vitraux pour Jérusalem" ("Twelve models of stained-glass windows for Jerusalem"). 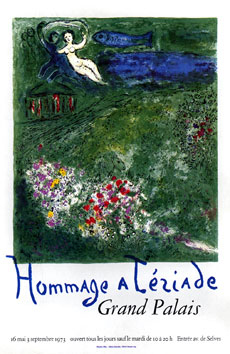 André Sauret Publisher, Monte Carlo. 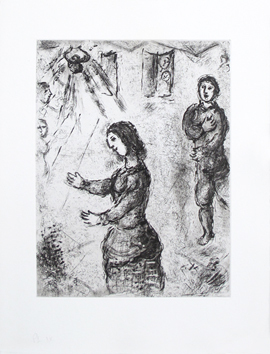 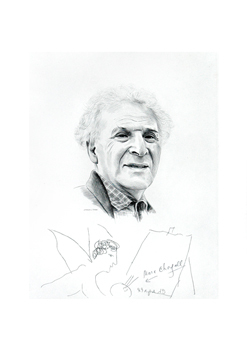 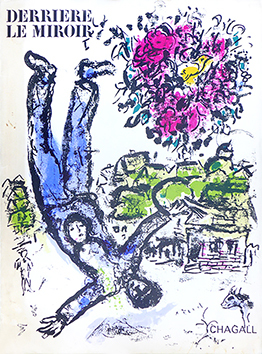 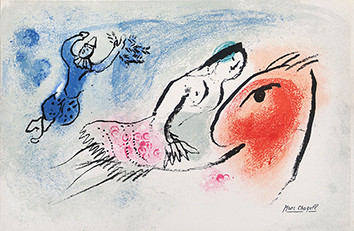 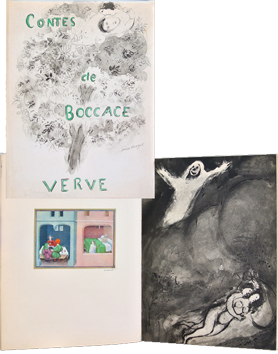 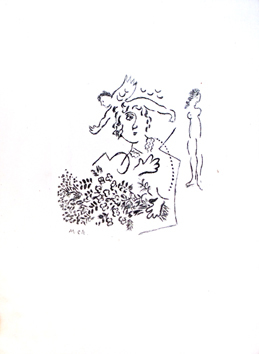 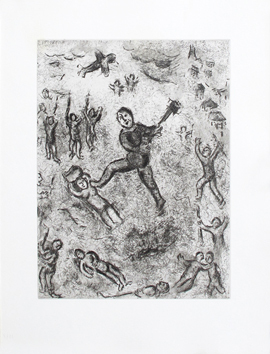 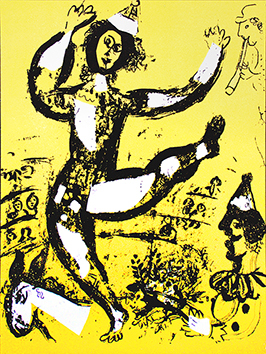 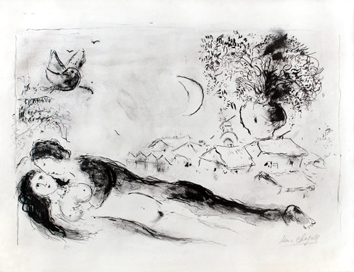 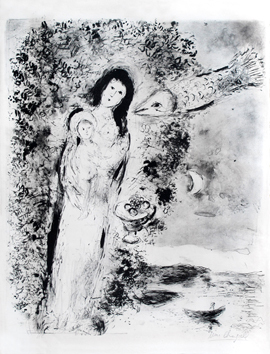 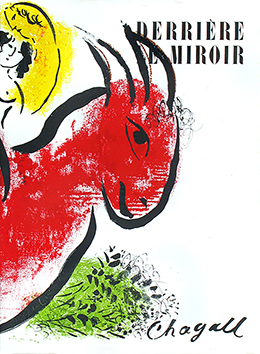 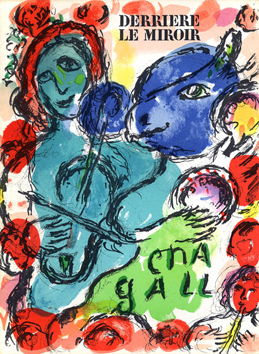 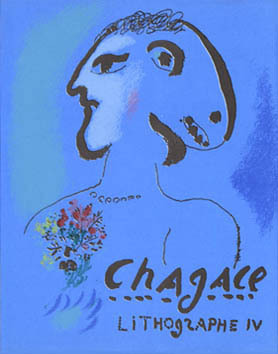 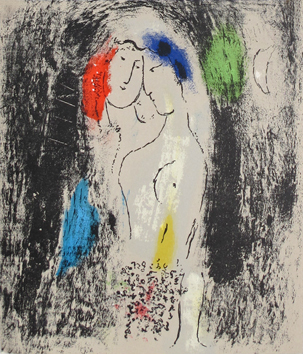 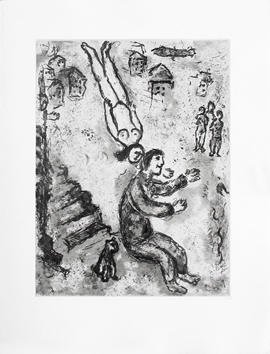 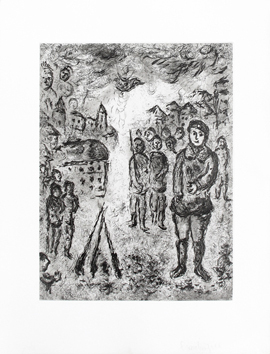 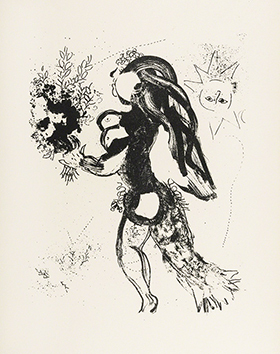 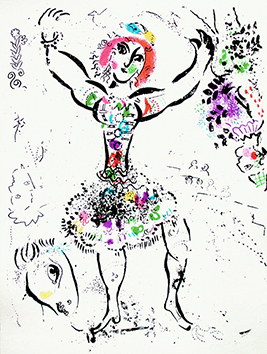 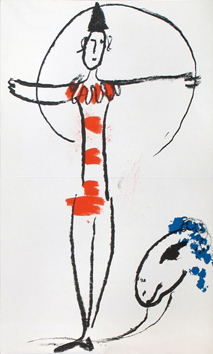 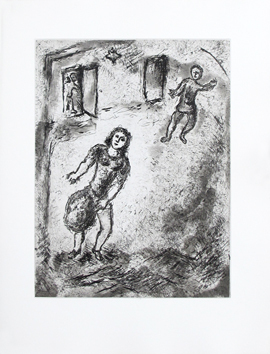 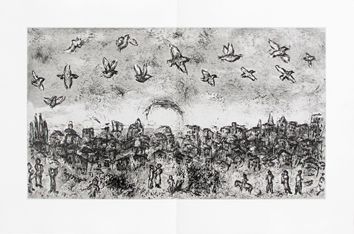 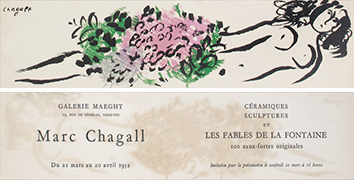 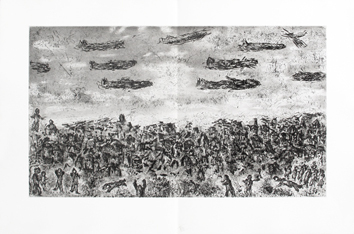 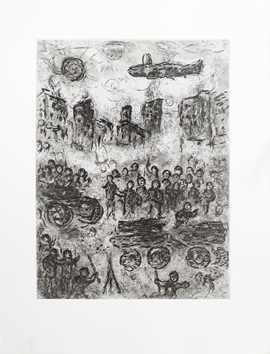 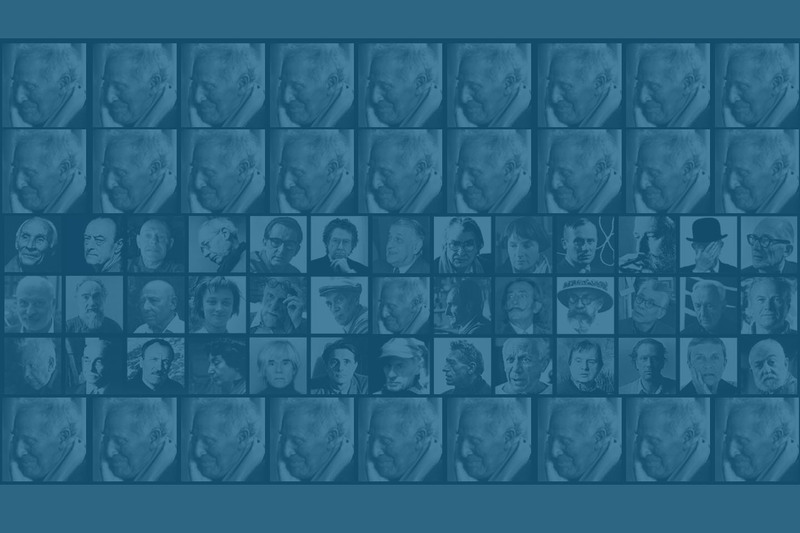 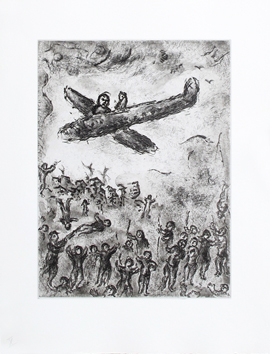 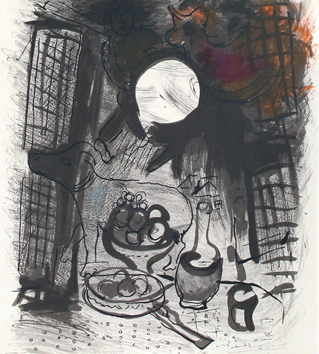 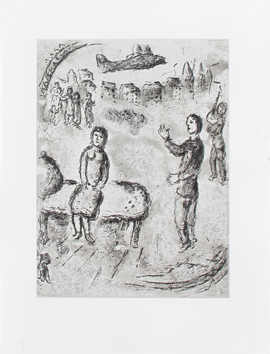 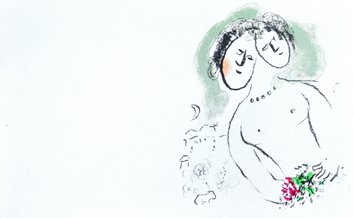 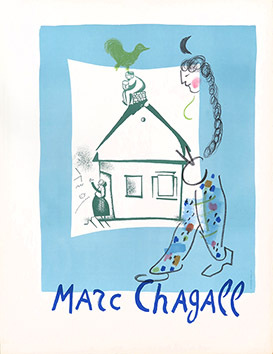 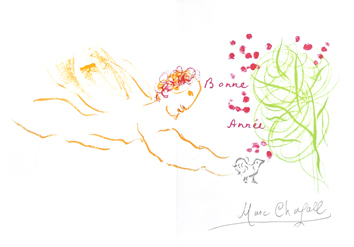 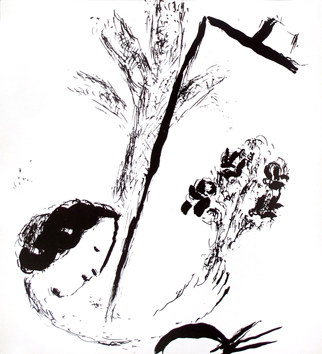 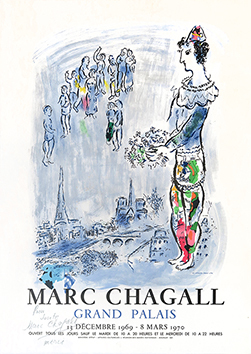 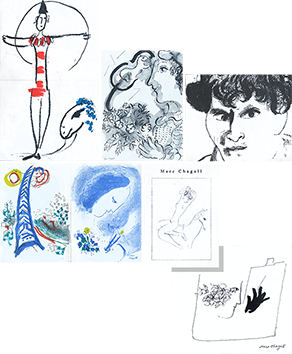 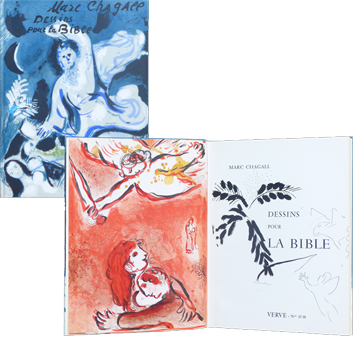 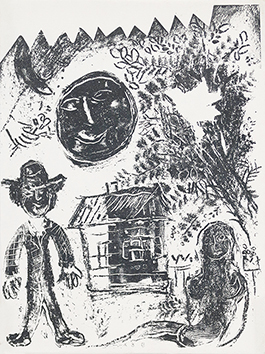 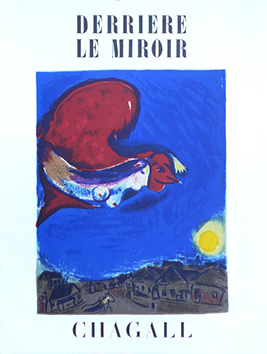 Reference : Chagall Lithographe, Vol. 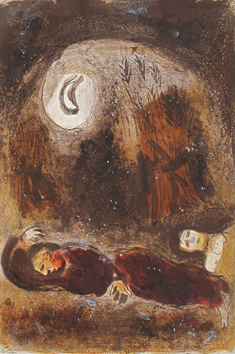 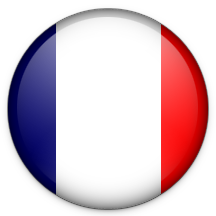 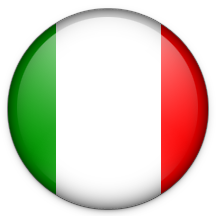 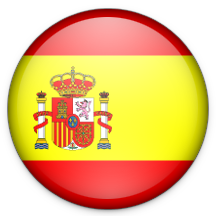 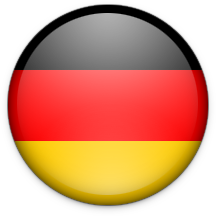 5, n°CS 23 p. 214. 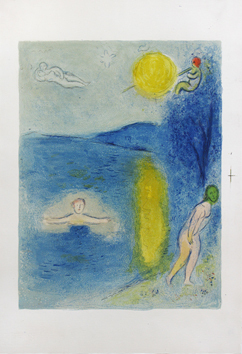 Condition : Slight mat-staining, a tear (2,5 cm) in the lower left corner (far from the image), otherwise very good state. 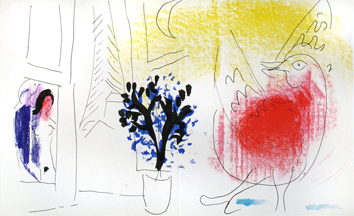 Very fresh colors.